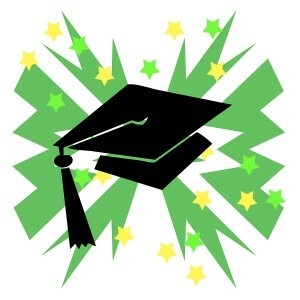 You’ve just graduated from college… Congratulations! Now put away the champagne, it’s time to get a job. Your first task as a recent graduate out of school is to understand your marketability as a job candidate. A college degree and a firm handshake will only get you so far in the real world. You’ll soon discover that recruiters, employers, and hiring mangers are looking to hire experienced individuals with proven track records, not untested newbies with nothing to show for themselves. But there’s still hope. You have the experience, you just don’t know it yet: You must have been doing something besides taking classes all those years… (Don’t say drinking!) Internships, part-time jobs, volunteer work, extra-curricular activities… each counts as a valuable experience that can be leveraged to show specific skills and desirable behaviors. The type of abilities you want to showcase are called transferable skills (i.e. time management skills, leadership qualities, teamwork ability). Lucky for you, you’ve been acquiring and developing these skills all along without even realizing it. On your resume, provide specific examples from your past that illustrate how you’ve mastered these attributes. Think of the “big picture” of what an employer wants in an employee: dedication, work-ethic, honesty, team-player, etc… Show that you have all of these things! You have a short, but significant resume : While your hands-on experience and industry expertise may be a little light at first, you can still prove to your next boss that you’re the real deal with a finely crafted resume. Right out of college, you have the advantage of using the short and sweet one-page resume – older job seekers need to manage and make sense of a longer career history, which can quickly become muddled and confusing on paper. Be sure to hit on the value of your experience, not just what you did (because you probably haven’t actually done much.) Consult with someone in the industry that you are trying to get into to see what they typically look for in new hires. You have a solid network: While nobody is just going to hand you a job, your college career center and alumni network are extremely valuable resources for obtaining visibility in the job market and tracking down leads for entry-level positions. Recruiters will often work directly with Universities when sourcing for top graduate talent. If you did well in school and you’re proud of the work you put in, it’s a wise idea to maintain ties with important individuals at your institution – you never know who might be able to help. Use and abuse your college career center, your professors, and even your classmates that were fortunate enough to land jobs before you. You just spend four years or more with this network of people – this group of close associations is something that not even every tenured professional has. Remember, as a recent graduate, you’ll always have a degree backing you up that stands testament to your hard work and dedication. As you move forward looking to get hired for your dream job, don’t be afraid to pick up a part-time or entry level role – anything that offers relative ease of entry into an industry and pays the bills. While often unglamorous, these types of roles lead to bigger and bolder opportunities in the long run. As any good recruiter will tell you, its better to be working somewhere than nowhere at all. Good luck in your search!